Insect-active Bacillus thuringiensis (Bt) proteins are expressed by several transgenic crop plants to control certain pests, but nontarget organisms such as ladybirds also can be exposed to these proteins in the field. We developed an improved ecotoxicity testing protocol and conducted feeding trials in a laboratory setting to test for possible adverse effects of different concentrations of microbially produced trypsin-activated Cry1Ab and Cry3Bb toxins on the coccinellid Adalia bipunctata. Larval/pupal mortality, development time, and overall body mass accumulation were recorded. Even at the lowest concentration (5 μg/ml), A. bipunctata larvae fed with the lepidopteran-active Cry1Ab toxin exhibited significantly higher mortality than the control group. In experiments with the coleopteran-active Cry3Bb, only a concentration of 25 μg/ml resulted in a marginally significantly higher mortality compared to the control. Both experiments revealed a slight decline in mortality at the highest concentration of 50 μg/ml, though this was statistically significant only in the Cry1Ab treatment. No differences were detected for development time and body mass of newly emerged adults. 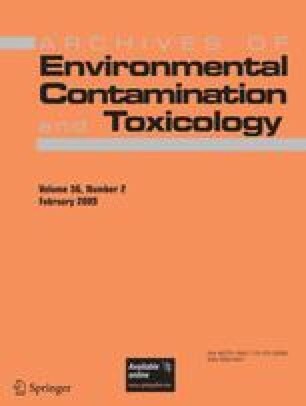 Dilutions of the expression vector pBD10—used as a control to exclude effects of the toxin production method—at concentrations between 10 and 100 μg/ml revealed no significant effects on either of the studied parameters. This suggests that the increased mortality of larvae in the toxin feeding trials was caused directly by the activated Bt toxins and raises questions regarding their commonly postulated specificity and their mode of action in A. bipunctata. Implications of the reported results for ladybird populations and their biological pest control functions in transgenic crop ecosystems are discussed. This study was financed by the fifth framework program of the European Commission (project Bt-BioNoTa, QLK3-CT-2000-00547). We thank Ruud A. de Maagd and Mieke Weemen-Hendriks, Plant Research International, Wageningen, The Netherlands, for producing the trypsin-activated toxin and pBD10 stock solutions. We are grateful to Peter J. Edwards, Salvatore Arpaia, and two anonymous reviewers for useful comments on early versions of the manuscript.